Weight loss teas claim to suppress appetite, increase fat burning and boost metabolism. This article takes a sales-free look at the scientific evidence. What Is Weight Loss Tea? Do They Enhance Fat Burning, Suppress Appetite and Boost Metabolism? What About Detox Teas… Do They Work? Are There Any Other Benefits to Drinking Tea? Summary: Does Weight Loss Tea Work? Weight loss teas, such as Iaso Tea, are usually a blend of tea and herbs, depending on the brand. They’re said to help with weight loss by enhancing fat burning, increasing metabolism and suppressing appetite. Many are also marketed as ‘detox teas’ and ‘fit teas’, with claims they increase energy and cleanse your body of toxins. Most of these teas come with a recommended exercise and eating plan to be followed in addition to drinking the tea every day or two. They are generally expensive and heavily marketed on social media. Summary: Weight loss teas are a blend of tea and herbs that are claimed to enhance weight loss through several different mechanisms. Detox teas and fit teas are similar, and all come at a premium price. Many weight loss teas contain laxatives, caffeine or diuretics. These ingredients can lead to short-term loss of water weight, giving you the illusion of having lost weight or feeling slimmer. As the name suggests, a drop in water weight is a drop in the amount of water stored in the body. This type of weight loss is not from a reduction of fat stores and is not a sustainable method of weight loss. As soon as you stop using the tea or hydrate properly, you will regain the water weight. Losing water weight can also lead to dehydration. It is not a healthy or safe practice and can lead to serious health problems. For weight loss to be sustainable you need to decrease the amount of fat stored in the body. Many weight loss teas contain a natural laxative called senna. Laxatives make you move your bowels more frequently, and in some cases senna can cause stomach cramps, pain and diarrhea. Long-term use of laxatives is not only unpleasant, it can become dangerous. Continual use can cause your body to become dependent on the laxative, which is especially problematic when you stop taking them. Dehydration and severe electrolyte imbalance can also occur. 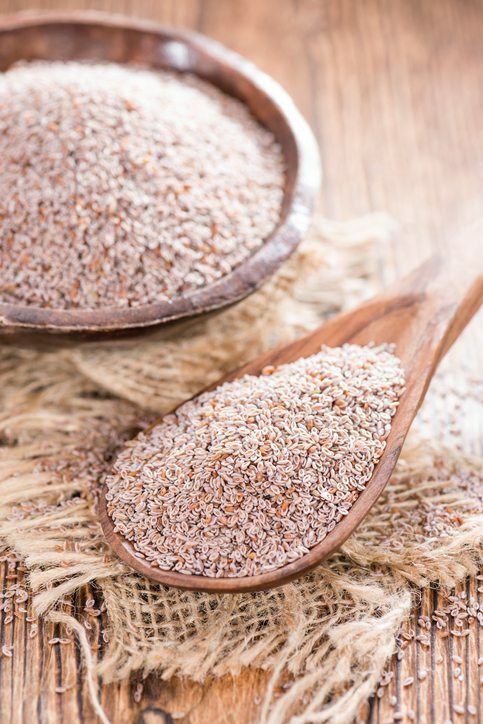 Also be mindful that psyllium husk, a type of fiber supplement, can have a laxative effect. It’s commonly used as an ingredient in weight loss teas. This is because they stimulate the body to excrete increased water and sodium. This may be useful if your body is holding on to excess fluid. However, they are not useful for long-term weight loss and can cause dehydration. Tea leaves naturally contain caffeine, albeit in small amounts. Summary: Many weight loss teas contain laxatives and diuretics. They can cause a loss of water weight but not body fat. Some weight loss teas do not contain diuretics or laxatives. Instead they use ingredients claimed to have fat-burning, appetite-suppressing and metabolism-boosting properties. Many of these ingredients lack evidence to support these claims. 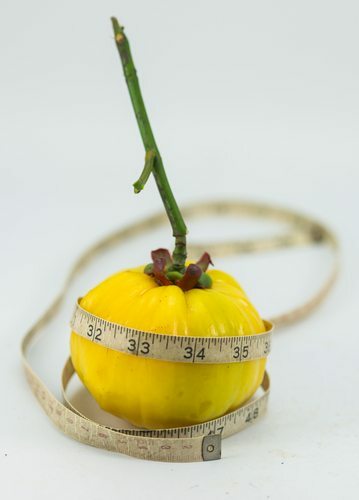 Garcinia Cambogia has been used as an ingredient in many weight loss supplements. However, evidence to support weight loss claims is not strong. A large systematic review of trials found any weight loss that resulted from taking garcinia cambogia was minimal and short term (1). Watch this video for a more in depth look at garcinia cambogia. There’s no solid evidence in humans available to support any weight loss effects of Ginseng (2). This includes gynostemma pentaphyllum which is often referred to as a type of ginseng. Moderate caffeine consumption may suppress appetite and stimulate the body to burn energy (3). However, these effects appear to diminish once caffeine tolerance builds up (8). This means that a weight loss tea with a high caffeine content will not be effective if you already consume caffeine daily. Even if you do initially lose some weight by increasing caffeine intake, the effects will be short lived. However, one study found that habitual caffeine consumption may help with weight maintenance after weight loss has been achieved (4). More information on caffeine’s effect on weight loss can be found here. These are some of the caffeine containing ingredients you may see in weight loss teas. Tea: this includes sench green tea, pu-erh tea and matcha green tea. See below for a look the weight loss properties of tea. Guarana: has a very high caffeine content and can be found in many weight loss products. There is a lack of evidence to suggest guarana has any weight loss properties aside from caffeine. Yerba Mate: also has a high caffeine content. Some studies have shown yerba mate may be able to suppress appetite and increase fat burning. However, most have been conducted on animals rather than humans (5, 6). Summary: Most ingredients in weight loss teas do not have any solid scientific evidence to support their weight loss. Although caffeine has some positive weight loss effects they are insignificant and short lived. Nearly all weight loss teas contain some form of green tea. All types of tea — including green, black and oolong — actually come from the same plant. The difference lies solely in the method of processing. 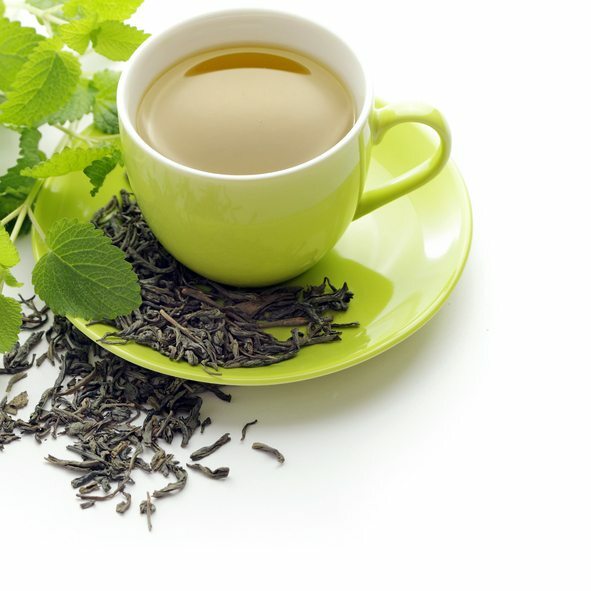 In fact, herbal teas that do not contain leaves from this plant are technically not considered a tea. Herbal and fruit infusions are correctly known as tisanes. Green tea has shown some potential to increase the body’s fat-burning capacity and aid in weight loss, however, the impact of this is likely to be minimal (7, 8, 9). The two active components of green tea that may contribute to weight loss are caffeine and catechins, which have antioxidant actions in the body. Green tea contains twice the amount of catechins as black tea. The most potent green tea catechin seen advertised in health products is EGCG — short for epigallocatechin gallate. The weight loss effects of EGCG appear to be most prominent when caffeine is also present. It relies on the effects of caffeine. In fact, large studies have shown that decaffeinated green tea has no significant weight loss properties (8, 9). For example, there is no trend in fat loss percentage in the scatterplot diagrams below when comparing those who use green tea extract and placebo. Interactions between time, treatment group, and baseline BMI for changes in gynoid (A) and tissue (B) %fat in overweight or obese women assigned to green tea extract or placebo for 12 months. Click to enlarge. Image source. Unfortunately, as mentioned above, those who regularly consume caffeine will experience little to no weight loss benefits from green tea either (8). This video describes the weight loss properties of green tea in more detail. Interestingly, race may also influence the weight loss effects of caffeine somewhat. Studies have shown a greater response in Asian populations compared to Caucasians (10). Summary: Green tea does have some fat-burning and weight loss properties. However, these effects are not likely to produce any significant change in body weight. Many weight loss teas also claim to be able to detox your body. As with any commercial detox product, this is simply untrue. Your liver, kidneys and immune system are all a healthy person needs to help eliminate everyday exposure to so-called toxins. 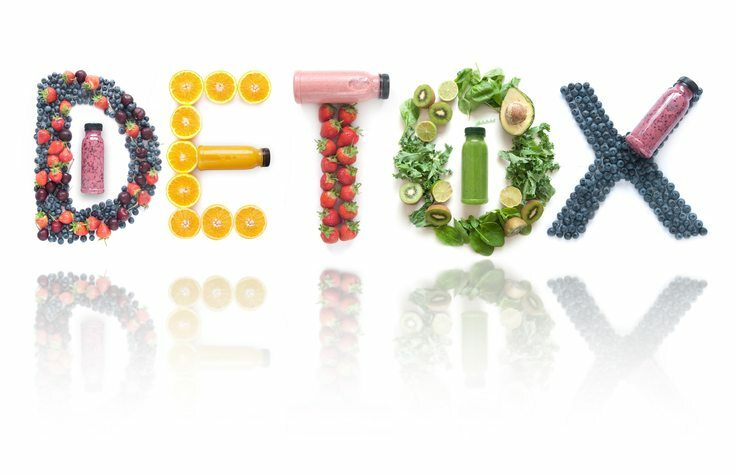 For a more in-depth look at debunking the detox myth, take a look at this article. Summary: Detox products, including detox teas, do not work. Several organs detox your body as efficiently as possible. Tea is a healthy drink choice, especially if no sugar is added. Replacing high-sugar, high-calorie beverages with a cup of hot or cold tea can help with weight loss and weight management, as tea is calorie free. 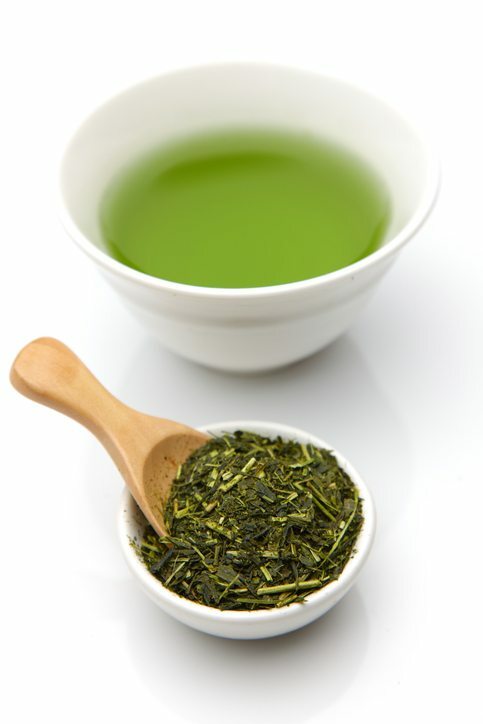 In addition, green tea in particular contains high levels of antioxidants and catechins. These compounds have been linked to possible health benefits such as protecting against certain cancers, reducing the risk of cardiovascular disease and protecting against diabetes (11, 12). Summary: Tea is a healthy alternative to sugary drinks. Not only is it naturally calorie free, but it contains beneficial compounds that can improve health. Weight loss teas can produce the following side effects depending on the ingredients of the tea. Contamination: Some herbal weight loss products may be contaminated with substances not declared in the ingredients. 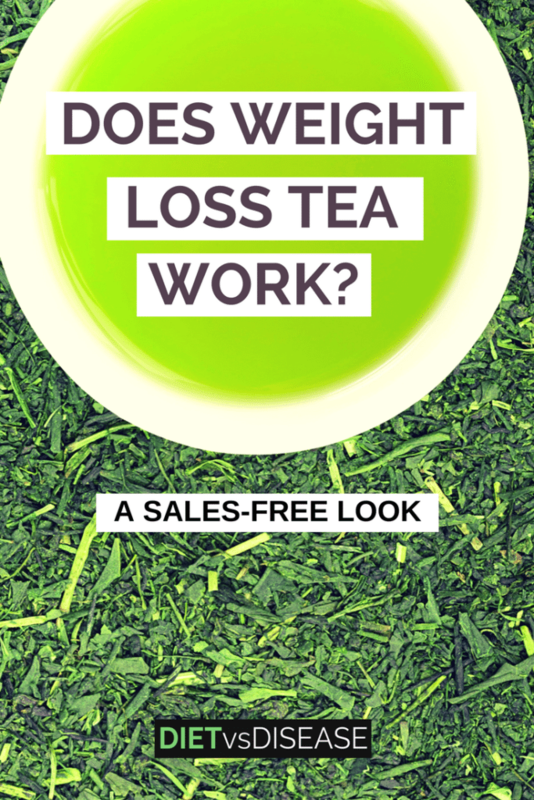 It’s unlikely you will lose weight as a direct result of drinking weight loss tea. The same goes for detox teas, fit teas or similar supplements such as Gundry MD Vital Reds which promise “fat burning” properties. However, many weight loss teas come with a healthy meal plan and exercises to follow in addition to drinking the tea itself. It’s this improved diet and increased physical activity that is responsible for weight loss after drinking tea…not the tea itself. If you like the taste and don’t mind paying the inflated price, then weight loss teas are typically a safe and healthy choice. Just know that regular green teas and herbal teas are equally as good for you… and much healthier for your wallet. 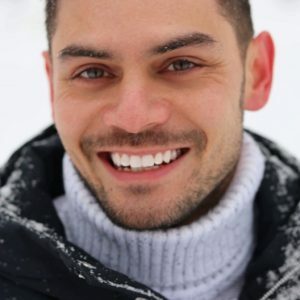 Eleise is a university qualified Nutritionist from Melbourne, Australia. After studying a Bachelor of Health Science (Paramedics), she later went on to follow her passion for nutrition science and completed a Master of Human Nutrition at Deakin University.